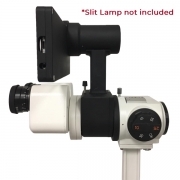 The Anterior Imaging Module converting your existing slit lamp into a high quality digital slit lamp, enabling photo documentation and patient education. 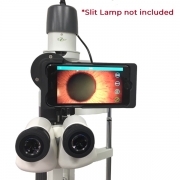 It is a wonderful device to see the pathology of the patient in detail on a screen and educate him to understand the disease he sufres. 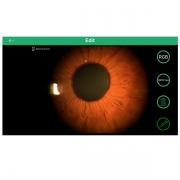 You can see both anterior segment as well posterior segment on the same device. You can give the photograph to the patient also, send it to any other person, anywhere in the world. 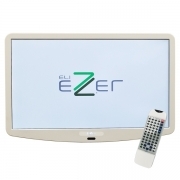 All the above described makes to EZ-iMS in an indispensable equipment in your consult medical. 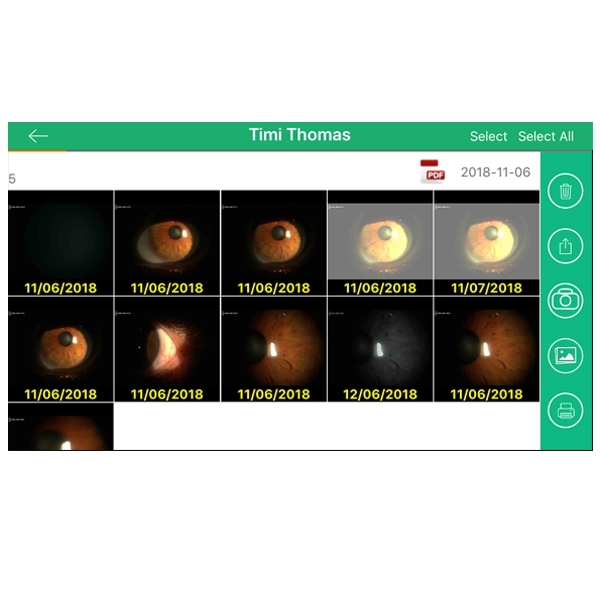 It allows the visualization, capture and digitalization of the image of the anterior segment in the same device to improve the image quality and see more precisely the different pathologies of the patient. 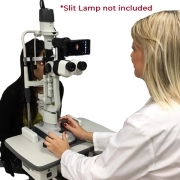 EZ- iMs has been designed to work on most slit lamps, with three or more steps of magnification. Installing the module is simple and efficient. 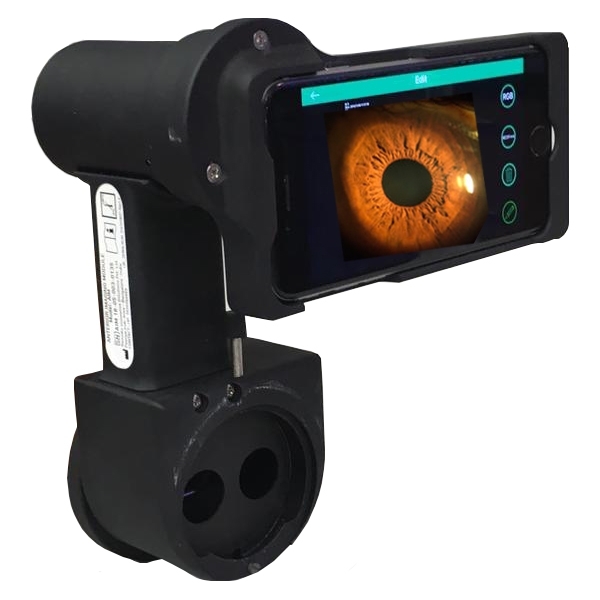 To achieve this, it includes an Apple iPhone 6, a Universal Mounting Adapter and a high quality Beam Splitter Optics. With the diopter magnification lens of the slit lamp, images of the posterior segment are obtained to improve the image quality and see more precisely the different pathologies of the retina, macula and optic nerve of the patient. The iMs software allows the user to vary the color temperature of the image to match that seen on the eyepiece, enabling the use of the device with halogen, warm white as well as cool white LEDs. The ability to control the multielements lens focus, allows for the slit lamp to define the focus of the smartphone – what you see, is indeed what you get! 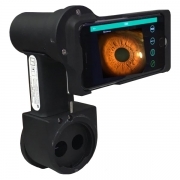 The intelligent Expert setting allows the user to match the exposure on smartphoe, with that seen on the eyepiece. By showing the patient in the moment the digital image educates him and makes him aware of his disease. By showing the patient in the moment the digital image educates him and makes him aware of his disease. One of the options offered by the Software is to be able to select the images and save them as a pdf, obtaining an exam report. You can add the Shutter button to the Joystick, so operators can acquire clear images. The joystick moves horizontally for a fine vertical adjustment for the height and alignment of the lens. 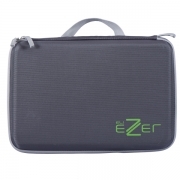 Once the correct alignment is achieved, the button is pressed and the desired image is obtained.